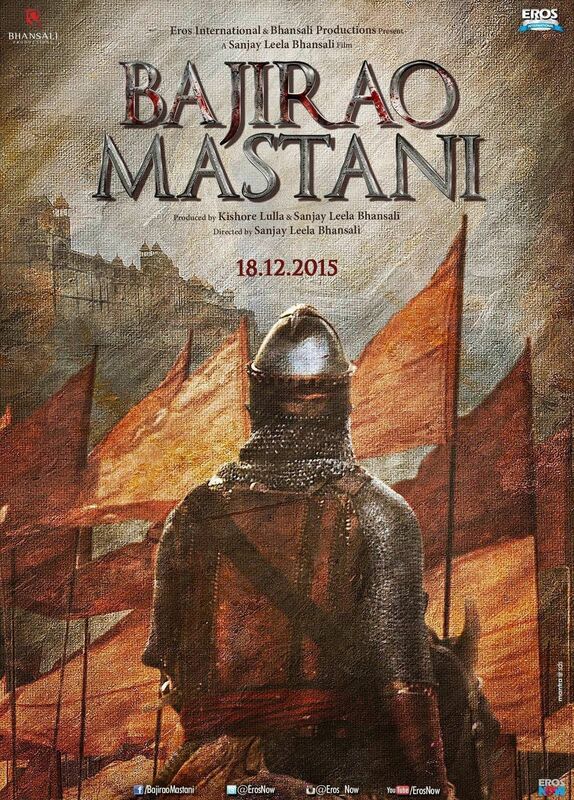 Sanjay Leela Bhansali directs Ranveer Singh, Deepika Padukone and Priyanka Chopra in his long gestating magnum opus Bajirao Mastani based on the fabled romance of Bajirao Peshwa the great Maratha warrior and Mastani Bai the warrior princess of Bundelkhand. SLB is a master of star crossed lovers and breath-taking visuals that are second to none. It is no secret that SLB has likened Bajirao as a seminal tribute to the greatest Indian movie Mughl-e-Azam, a comparison that few would dare to want to draw to their own movies lest it fall short of the ShahJehan and Anarkali romance that shook the foundations of the Mughal dynasty. 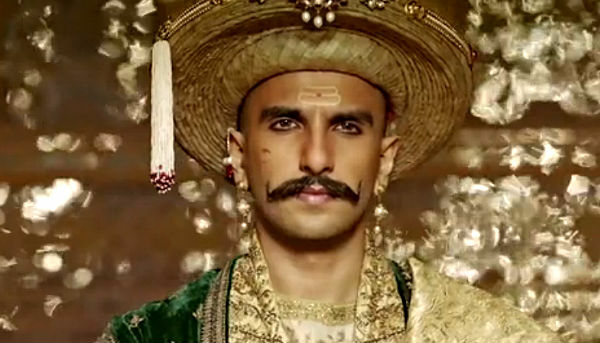 Bajirao Mastani is stunning exercise in visual mastery that one has come to expect from SLB. While earlier Bhansali has relied primarily on enormous sets with ostentatious production values here he goes more for the panoramic shots of the horizon upon which many a battles erupt and end rather violently but the faint pinkish hue of the sky somehow applies a calming touch to the bloodshed. There is a shot where Bajirao mounts an attack on the Mughal king attacking Bundelkhand which has featured prominently in the trailers as well that shot is worthy of a LOTR comparison in terms of the fight choreography and the scene composition. There are many a visual cues that evoke a 300 or LOTR like vibe but not because they are replicated like in those Hollywood movies but more so because of the cleanness and the competence of the craft involved. But war is not what Bhansali specialises in – Romance is where the auteur’s signature touch comes through. The main characters are introduced in such a casual fashion that it is clear that in Bhansali’s universe the story comes first and its stars later. Speaking of its stars there are clear stand outs. Ranveer is fantastic once again as Bajirao Peshwa – the sword of the Maratha Empire that at once threatened to overthrow both the British and the Mughal invaders from India. Ranveer manages to strike a respectable restraint when portraying the poignant Maratha warrior and does not render him as a caricature but rather as someone worthy of the awe that surrounds him. Deepika as Mastani continues her winning streak with her ability to get to the essence of each of her characters and to pull each one off with an exquisite elegance. Madhubala she is not but the grace and poise with which she carries herself in royal courts is brilliantly juxtaposed by the fierce warrior that she is on the field. Deepika either has some magical powers or all the cinematographers she works with love her and are able to light her in ways that not even the most famed beauties have ever been shot as. There is a luminosity to her which seems to emanate from within her rather than from the outside. Priyanka Chopra as Kashibai, Bajirao’s first wife is also wonderfully restrained. She carries her proud self while still letting slip her vulnerability in moments when she confronts Bajirao after he marries Mastani. While Deepika’s gestures are more languid and lyrical befitting a Muslim princess, those of Priyanka are more energetic and exaggerated as one would expect the women of Maharashtra to embody. Their dance off in Pinga is SLB’s directional nuances at his best. Priyanka wears a silk blouse while Deepika wears a velvet one, Deepika holds her head high while Priyanka bobs hers enthusiastically, Deepika arches her back yet manages to look long and lean while Priyanka goes in for the more energetic hip action. Both similar yet strikingly different. This is why when people complain that Bhansali goes for mostly ostentatious sets they seem to miss the minute details that he puts in to etching out his characters. Milind Soman as Pant Pradhan to Peshwa and Tanvi Azmi as Peshwa’s mother are important characters in the story and the choice of the actors couldn’t be any better. Milind Soman is rather unrecognizable yet entirely impressive. No Bhansali movie is complete without a smashing sound track with memorable songs and tunes that linger on in your head long after you have left the theatre. And Bajirao Mastani is no different. Deewani Mastani is without a doubt the most visually stunning song, Pinga evokes a Dola Re déjà vu and has a catchy hook. Albela Sajan seems to be a straight lift from Hum Dil De Chuke Sanam but with the reworked music works well. The only sore spot is the Malhari song, that song has no place in the final cut of the movie it should have been left on the chopping floors. Camera work by cinematographer Sudeep Chaterjee is beautiful. The scenes with Priyanka coming forth with the Aarti to welcome Bajirao, the slicing of the peacock feather and the dagger thrown at Chimmaji Appa are particularly captivating but it is the entire sequence in the Aaina mahal during Deewani Mastani and the triple jump and slash scene in the battle field are so good that they will become the hallmarks against which future cinematic references will be made. The story and particularly the climax evokes strong Devdas vibes, The nods to Mughl-e-Azam are more than a few the Holi Song is Mohe Panghat pe, The jailing of Mastani is Utho hamara salam le lo. But despite these minor flaws this is a stunning piece of cinema and without a doubt the best I have seen this year coming out of Bollywood. Watch this for Bhansali who for me is the best director working in Bollywood today who delivers with a consistency, a visionary who makes going to cinema worth it. Watch it for Ranveer who continues to defy expectations and delivers a performance that is equal parts abandon and equal parts restraint. Watch it for Priyanka who shines like a finely cut diamond in the hands of the master craftsman. And watch it for Deepika Padukone who continues to defy the law of averages and keeps getting better with each movie and is at present peer-less in Bollywood and the queen continues to reign supreme as the warrior princess.